We all want the best are for our older loved ones. But how can we provide the best care if we don’t know exactly what conditions or illnesses they are suffering from? A cloudy area that causes some confusion is mental disorientation. Although delirium and dementia sometimes manifest with similar symptoms, they are two distinct conditions. Behaviors and treatments may differ, so it is important for family members and caregivers to recognize the difference between the two. While some seniors with dementia may end up in a long-term care facility, many thrive with home-based care. A qualified caregiver, home care system or home care software can help the patient maintain his independence while living comfortably at home. If your older loved one is showing any signs or symptoms that concern you, don’t delay in seeking treatment. It might be simple confusion that comes with aging, or it could be more. It may not mean that the patient is destined for a nursing home. As mentioned, even dementia patients can live at home with the help of a dependable home care system or home care software, such as ClearCare Online. Dementia is the progressive and steady decline of brain function that occurs with certain diseases, such as Alzheimer’s. 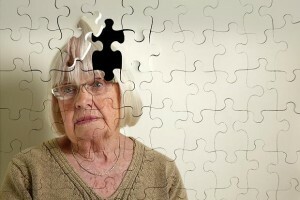 Most types of dementia are degenerative and progressively get worse with time. Certain medical conditions, such as multiple sclerosis or stroke, can lead to dementia. The memory, language and cognitive impairment of dementia are gradual – unlike the quick, erratic onset of delirium. If caregivers notice any of the above behaviors in their senior patients, it is important that they take note in their home care software or home care system so that appropriate action can be taken. Delirium is typically the result of a physical illness (such as pneumonia), an infection (urinary tract infection), mental illness or chemical imbalance. Surgery, medications, alcohol or drug abuse can also bring on delirium. Seniors in hospitals or long-term care facilities are more susceptible to delirium, which is another key reason many seniors choose home-based care. With the help of a home care system or home care software like ClearCare Online, seniors with delirium or dementia can receive proper care and supervision. Keeping your loved ones safe and well cared for is the primary objective of ClearCare Online’s home care system and home care software, whether they suffer from reversible delirium or progressive dementia.